For those of you considering a Kindle after all the new iterations announced this week--or those who already own one--two books that may be of interest to readers here just dropped in price, probably temporarily, so if you are interested, don't wait. Sometimes these price drops only last a matter of hours or days. (I picked up the Hunger Games Trilogy for under five dollars on Wednesday in a deal that only lasted a few hours.) They've been on my really long watch list and these prices make them a great bargain. And, while we're here, if you are considering a Kindle--I myself already preordered a Kindle Fire so expect a review when it arrives--please remember to click through SurLaLune before adding one to your cart to purchase. 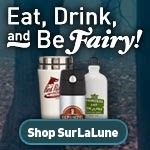 SurLaLune gets a small percentage which helps keep this site going. Believe it or not, this site just manages to support itself--it's not making me rich or even paying a bill or two--this is all done out of passion, not finance, but it helps when it doesn't take away from my pockets either! The Kindle Fire won't be replacing my beloved Keyboard Kindles but will supplement for reading books in color and web browsing and note taking in meetings, or so I hope on the latter. Yes, I have another job entirely separate from SurLaLune that actually pays the bills. I just adore the e-ink screens too much for my extensive bouts of reading so the e-ink Kindles are still my preferred devices for reading regular books.